If you’ve ever fancied yourself as the next big thing in wedding planning, OHSC can help! Each of our outstanding wedding planner courses is not only fully-accredited, but suitable for anyone with no prior experience required. Distance learning allows you to study at a time and pace to suit your lifestyle, with no deadlines or time restrictions to worry about! The wedding planning industry is booming like never before, both across the UK and the rest of the world. There really has never been a better time to explore all this remarkable industry has to offer – enrol today and take the first step toward a truly incredible future! The complexities of planning a wedding never fail to take newcomers by surprise. Coupled with the pressure of ensuring everything is flawless, tackling dozens of key responsibilities all at the same time is no job for the faint-hearted. This is precisely why more couples than ever before are turning to wedding planners for professional assistance. 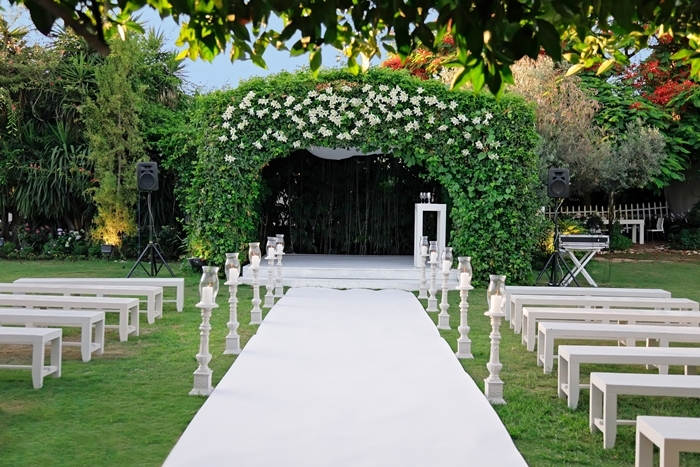 The role of the wedding planner is to take control of any and every job, as specified by their clients. Some may be asked to handle the reception, others the church ceremony and in some cases every single element from start to finish. To hire a wedding planner is to relinquish most responsibilities and focus more time and effort on excitement and enjoyment. The appeal of having a trained professional handle everything on your behalf is enormous to say the least. But along with taking care of key duties, the relationships wedding planners have with key venues, vendors and suppliers can also open the door to a world of exclusive privileges. Every year in the United Kingdom, more than £10 billion is spent on weddings. It’s an absolutely enormous and thriving industry – not to mention one that’s almost entirely immune to economic and political turbulence. For those with the required skills, talents and commitment, wedding planning represents a uniquely secure and rewarding career for life. The above duties must also be balanced with comprehensive sales, marketing, accountancy and administrative responsibilities for those looking to go into business for themselves. A demanding role it may be, but the role of the wedding planner is one that centres around making dreams come true! What Career Opportunities Are Open in Wedding Planning? Qualified wedding planners have the option of seeking a position with an established agency, or to go into business for themselves. Choosing to work with an agency offers the benefit of regular, guaranteed work, along with a variety of addition perks including paid holidays, pension plans and so on. However, to work independently is to enjoy the luxury of being your own boss and running your business exactly as you see fit. In both instances, the call for outstanding wedding planners has never been greater, both across the UK and the rest of the world. Our most popular and intensive wedding planner certification online, each and every key element of planning and executing world-class weddings is covered in-depth. Explore strategies for working in accordance with clients’ budgets, learn how to build essential vendor relations and find out how to build your own wedding planning business from scratch. Our introductory Level 3 wedding planning course online, offers an excellent introduction to the industry, focusing on key reception planning consideration. From catering to music to floral décor and more, gain crucial insights into the everyday life of the professional wedding planner. For more information on any of our courses or to discuss enrolment, get in touch with our admissions team today on +44 01865686162, or drop us a line at [email protected].